An incredible composition app for any music lover, Notion gives you the ability to compose, edit, and play back scores using real audio samples performed by the London Symphony Orchestra and recorded at Abbey Road Studios. You can capture your musical ideas anytime, and with the mobility of the iPad, you can take this helpful application anywhere. 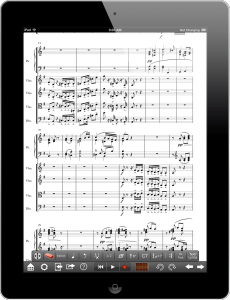 With Notion for iPad, you can access scores and print parts, edit scores, write entire arrangements or compositions, and teach composing and theory in a one-to-one classroom. Progression for iPad gives you the convenience of an easy-to-use guitar, bass, and drum tab-creation tool right at your fingertips. An incredible app for any guitarist, bassist, drummer, keyboard player, or vocal arranger, Progression gives you the ability to write, edit, and play back tablature or regular notation using real audio samples. You can capture your musical ideas anytime, and with the mobility of the iPad, you can take this helpful application anywhere! 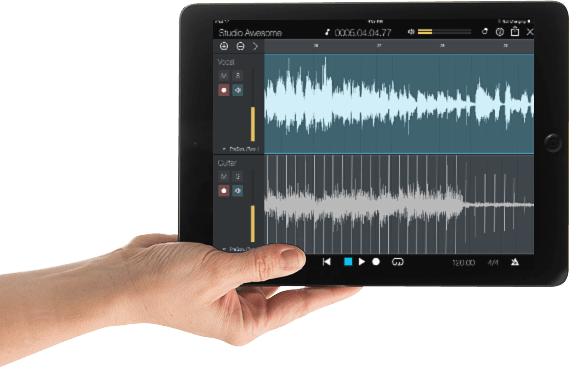 Capture Duo, our FREE iPad recording app, allows easy, one-tap recording and instant transfer to Studio One on a Mac or Windows PC. This allows students to record to their iPads using the built-in microphone, or better yet, record in professional quality with an AudioBox i-series recording interface. Record performances with an AudioBox iTwo interface and two condenser mics. See recording tutorials. Record assessments in a practice room. See assessment tutorials. Have students record assessments at home and wirelessly send their files to a central computer when they get to class. 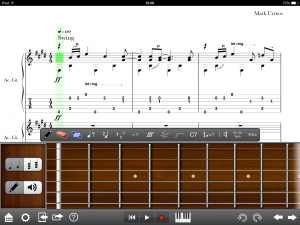 Create collaborative songs in Studio One using files recorded to the iPad in various locations. PreSonus i-series interfaces work seamlessly with Capture Duo for iPad and enable professional-quality audio recording directly to iPad. Use the AudioBox iOne, iTwo, or iTwo Studio bundle in a music lab or to record assessments and performances. 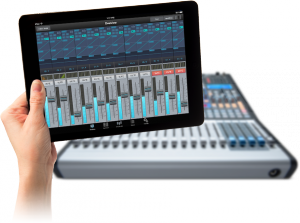 All StudioLive mixers offer iPad control, allowing you to control your mixer anywhere in a venue. Use the StudioLive Remote-AI app with the StudioLive AI-series mixers or the UC Surface app with our StudioLive RM-series rackmount mixers. Watch UC Surface in action.